Sipping coffee at a café in Paris, Sugar Sammy taught me the basics of the French sneer. Then he jokingly indulges in what he calls the favourite pastime in France’s quaint streetside cafes: judging passersby. Mocking Parisians is his day job these days. Finally getting paid, he quips, for something he has done for years. The Quebec comedian is taking on the French market after becoming a household name in his home province. The French are just one of the victims of his edgy humour. Sugar Sammy has built a brand mocking the quirks of culture. One of his favourite targets, Quebec separatists. That is how he first attracted my attention. “Are you happy with where you are sitting, or do you want to separate from the rest of the audience and create your own section?” he asks during one of Montreal shows. Even the separatists join the laughter. Sugar Sammy was born Samir Khullar to parents who immigrated from northern India. Quebec’s bill 101 protecting the province’s official language forced him into a French school. “I actually feel very fortunate that I went to a French school, because I don’t think I would have learned French in the same way that I did in my developmental years. I mean it was—it was good to have it early on,” he says. A surprise, perhaps, to critics who have called him a francophobe, a dangerous federalist. He has even received threats for advertising stunts flaunting the province’s language laws. 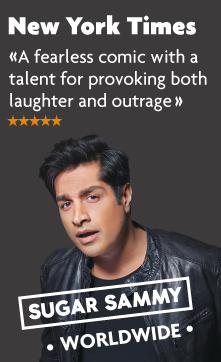 But he says he is pushing the boundaries of standup comedy. He studies cultures like an anthropologist, and holds up a magnifying glass to the quirks he observes. After making Quebec comedy history with a run of wildly successful bilingual shows, Sugar Sammy decided to start from scratch in Europe. It was both a business and a creative decision. In France, he could push boundaries even further. If it didn’t work, he could simply pack up and go home to Montreal. And the one-liners have been biting. French critics have responded with applause, saying his outsider status fuels extra laughs. Off stage, I discovered a not so brash or harsh Sammy as his on-stage persona. He chats amicably about politics, his life in Paris, and the restaurants he likes. He is business-savy, and mindful of his image. But it all seems to be working. Walking through both the Montreal neighbourhood where he grew up and the Parisian arrondissement he adopted, fans just keep on stopping him for selfies. 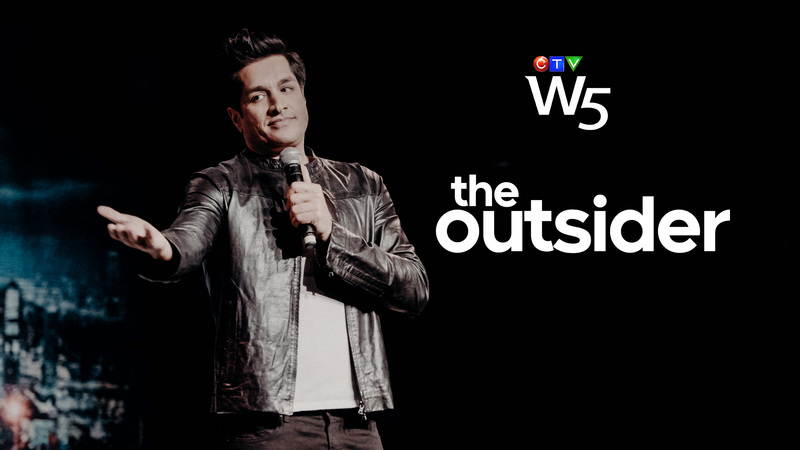 Watch our documentary 'The Outsider' on CTV, Saturday at 7 p.m.